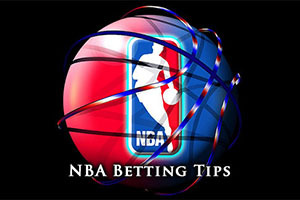 Thursday is usually a bit slow in the NBA so there are plenty of reasons why it is good to welcome Friday once again. We take a quick look at the three NBA games that took place on Thursday and we look forward to three of the great NBA games that are lined up for Friday. If this is the night you get your weekend started, you will be delighted to learn that there is some great basketball betting opportunities for you to enjoy. The Bucks were comfortable winners at home to the Knicks, who are experiencing a torrid run of form at the moment. The Bucks managed to grab a 95-79 win against the men from Milwaukee. The Cavaliers finally got back to winning ways, which was no great surprise against the hapless Lakers and with LeBron back in action. The score in Los Angeles saw the Cleveland side win 102-109. The Rockets grabbed a home win, the team from Houston defeating the Thunder by a score of 112-101. The Nets have a 16-23 record coming into this game and the 8-10 record away from Boston will not give them a great deal of confidence coming into this match. 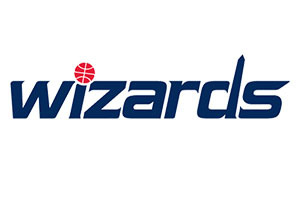 The Wizards are on a run of 27-12 this season and in Washington, they hold a 17-4 record. The Wizards have won their last two games, and have a 4-1 record in their last five matches, while the Nets have lost their last 7 games. The volume of wins for the Wizards has been impressive but the nature of the wins has been big as well. On Tuesday, the Washington side stopped a run of 17 losses against the Spurs and then on Wednesday, they had a 99-105 win in Chicago which gave them their second win over the Bulls in six days. Meanwhile, the Nets are on their biggest losing run since February 2012 and they lost 92-103 to Memphis on Friday. It looks as though there are no significant injuries for either side to be worried about going into this game and it should be one that the Wizards deal with comfortably. Taking the home side, with a -9.5 handicap at odds of 1.95, should give you a winning start to the weekend. Bet Now! The Hawks are flying high with a 31-18 record, which includes a 15-5 record when they are away from Atlanta. They will be facing another team who have been in great form this season with the Raptors offering up a 26-12 record, which includes a 16-5 run in Toronto. The Raptors won their last game coming into this one (and have a 2-3 record in their last five games) but the Hawks have won ten games in a row. The Hawks won 91-105 in Boston on Wednesday night with Jeff Teague grabbing 22 points. On the same night, the Raptors bagged a 100-84 win against the 76ers. This has been the only big win in a while for the Raptors and the quality of opposition probably had a lot to do with that. While DeMar DeRozan is the big injury concern for the Raptors, the Hawks have a number of players that are causing concern. Paul Millsap, Jeff Teague, DeMarre Carroll, Kyle Korver and Al Horford are all being monitored day to day by the Hawks but given the importance of this match, it is likely that most will make it through. This could be an epic game and there isn’t a lot to split these two teams. Taking the Hawks with a +1.5 handicap at odds of 1.90 is likely to be enough to give you an edge going into the weekend. Bet Now! The team from Portland are certainly trail blazers this campaign holding a 30-9 record, which includes a 12-5 record when they are away from home. They are coming up against the reigning NBA champions who hold a 24-16 record so far, and this includes a 13-6 record in San Antonio. However, the Trail Blazers come into this game on the back of a defeat and the Spurs won their last outing. With respect to the five game record, the Trail Blazers hold a 4-1 record while the Spurs have a 3-2 record. Portland’s 94-100 loss to the Los Angeles Clippers on Wednesday night was only their third loss in 16 matches. This defeat came despite LaMarcus Aldridge grabbing 37 points as well as 12 rebounds. The Spurs have managed to win get a good few wins of late but five of their last seven wins have been achieved by a seven point margin or fewer. This includes the 93-98 win in Charlotte on Wednesday so the Spurs will need to work on putting teams away. The Spurs don’t seem to have any notable injuries coming into this game while the Trail Blazers have a couple of things to keep an eye on. Joel Freeland, Robin Lopez and Allen Crabbe all seem major doubts and this could impact on the team. However, there is no doubt that the team from Portland is playing with a lot of fire this season and they don’t often lose two games in a row. Taking the Trail Blazers with a +4.5 handicap, at odds of 1.90, should get your Friday night started in style. Bet Now!